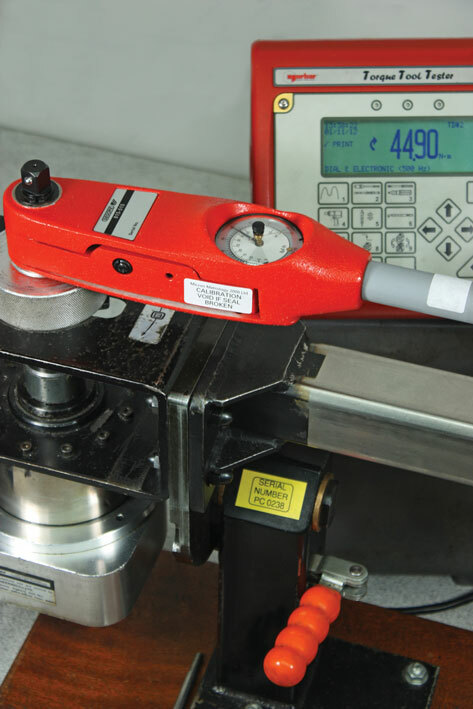 At Rhopoint Metrology we offer UKAS Torque Calibration covering: Hand Torque tools & Torque Wrenches to BS EN 9789:2003 from 1Nm up to 1500Nm. Torque Tools & Torque Wrenches can be calibrated both in the Laboratory and On-Site at Customers Premises where required. Our standard UKAS Torque Calibration turnaround times are a guaranteed 5 working days (Silvertrack), or you may take advantage of our Goldtrack 48 hour service from receipt at the Laboratory. Sample of Equipment covered: Torque Drivers, Torque wrenches both single & Dual Scale, Analogue & Digital including Break Wrenches.